Cal State Fullerton is welcoming 2017 with a redesigned website and student portal tailored for the connected, on-the-go world today’s students are used to. Cal State Fullerton has released a slick new portal for students. Perhaps the most exciting feature is the ability to see parking space availability by structure on the main page. Every minute counts when you are searching for parking on campus. Knowing which structures to avoid and which ones to aim for can make the difference between idling in your car waiting for someone to vacate their spot and smoothly rolling into your space and heading to class. But the new CSUF portal is about more than parking information. The new dashboard lets you see where computers and study rooms are available at the Pollak Library and get the latest details on university events and social media on one convenient page. The 2016 holiday season set records for online sales, though mid-priced brick-and-mortar stores suffered, with several companies announcing closures at the end of the year. Photo from Pixabay. 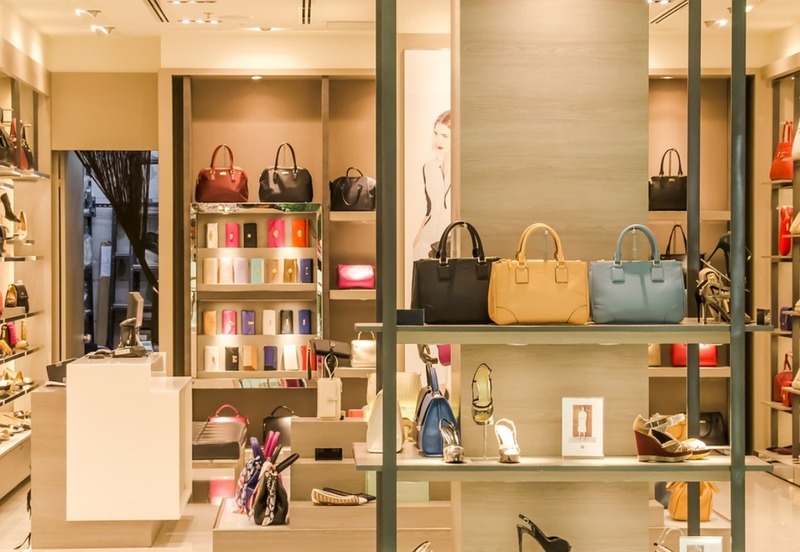 The 2016 holiday shopping season was a success for American retailers, yet there was a large disparity between online sales, which surged 15% above last year’s figure, and traditional stores, which saw stagnant or declining traffic in many cases. The recent holiday shopping season was a good one for retailers, with anticipated growth of 4.9% from last year’s figures, the best growth rate since 2005. Total expected sales likely surpassed $1 trillion for the first time ever, with the average American adult spending $419. Yet the retail world is changing as e-commerce grows in popularity. Many of the winners of this season were online retailers, such as Amazon.com, which saw their profits soar to record highs. Conversely, a number of longtime icons, including Macy’s, Kmart and Sears, announced major layoffs and store closings for the end of 2016. It is with us wherever we go and serves as our personal assistant. Ten years after its debut, many of us can honestly say that we could never go back to a pre-iPhone society. Photo from StockSnap.io. On January 9, 2007, the late Apple CEO Steve Jobs unveiled a next-generation smartphone with the ability to play music, receive calls and browse the internet. 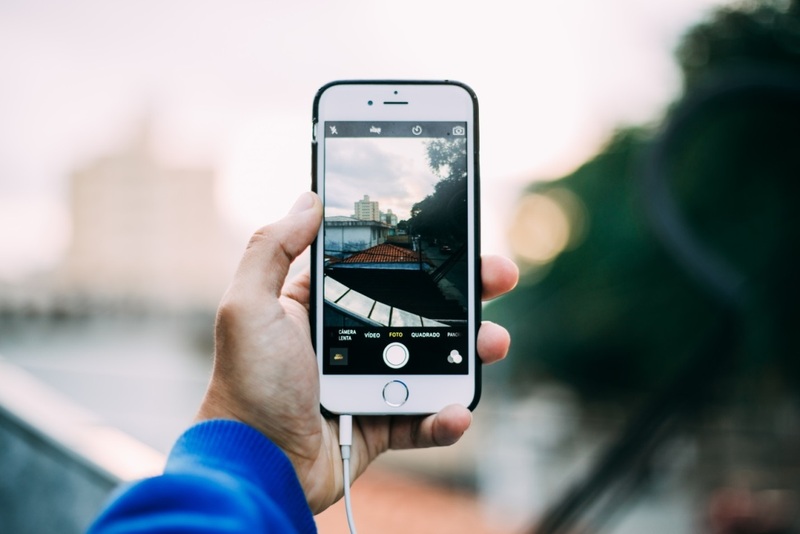 Dubbed the iPhone, the touch-screen device promised to be at the forefront of a revolution in mobile technology. Ten years later, there have been nine generations of iPhone models, an average of about one per year. More than 1 billion have been sold, making up somewhere between 20% and 40% of the global smartphone market. 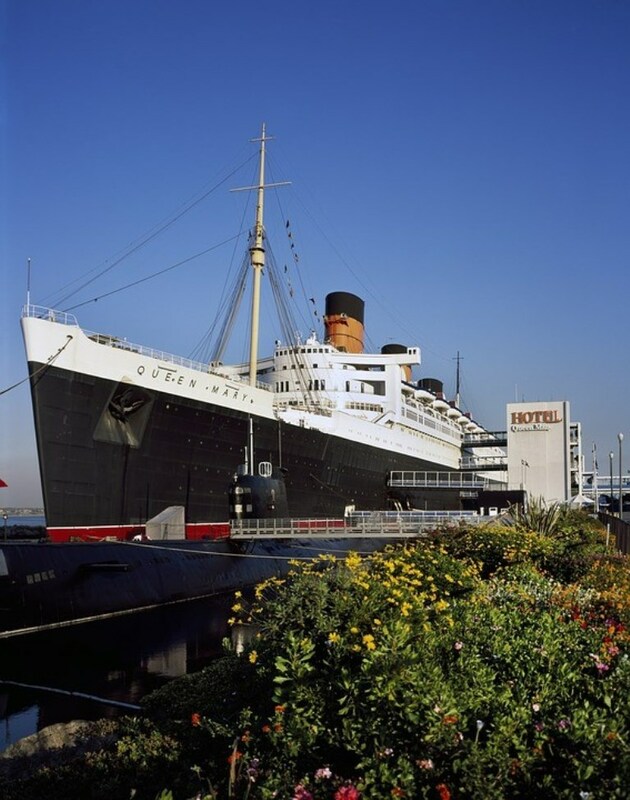 The Queen Mary harks back to the era of luxurious ocean travel. Photo from Pixabay. Hosting one of the world’s busiest port facilities, the Long Beach area is also a great place to explore Southern California’s maritime culture, a vibrant downtown scene, shopping and hip restaurants. Here are five things not to miss on your next trip to Long Beach. Long Beach is home to more than Cal State Long Beach, our university’s biggest collegiate sports rival. The community is also the site of one of the busiest ports in the world, handling much of the merchandise arriving from throughout the Pacific Rim. It can also be your gateway to a fun day or weekend. 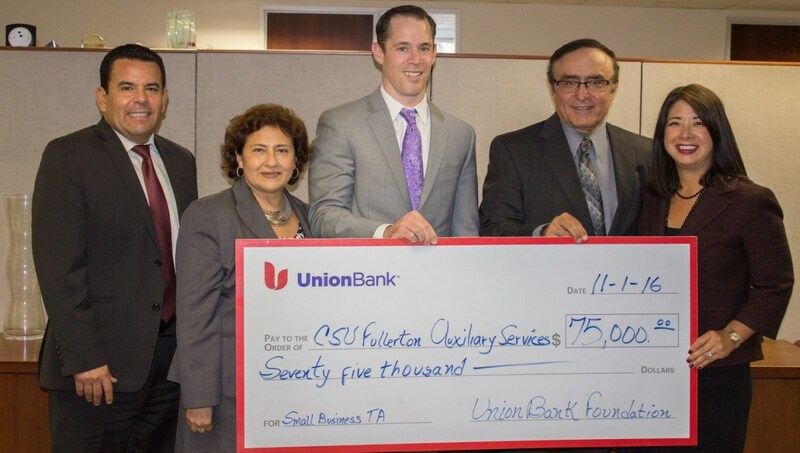 Lead SBDC Director Mike Daniel ’99 (center) and Mihaylo Dean Morteza Rahmatian (second from right) hold a $75,000 check from Union Bank. The grant provides small business owners with assistance in finding the funding needed to start or grow their enterprises. A diverse community stretching from the beach towns to the Coachella Valley, Orange County and the Inland Empire has limitless potential for today’s entrepreneurs. The Cal State Fullerton chapter of the Small Business Development Center (SBDC), housed in Mihaylo College, provides training and support for local business and future startups. Director Mike Daniel ’99 discusses the center’s activities and how students can get involved. With a combined population of about 7.5 million, Orange County and the Inland Empire comprise one of the most important economic regions in the United States. Opportunities abound for businesses focusing on agriculture, the supply chain, tourism, financial services, real estate and many other fields. Yet entrepreneurship is not easy, with high costs, regulations and the difficulty of developing competitive advantage preventing many businesses from achieving success. The Lead Small Business Development Center (SBDC) at Mihaylo College is committed to giving local small businesses the resources they need to realize their dreams through no-cost consulting, low-cost financing, training programs and access to experienced mentors in the community. The Mihaylo center oversees six off-campus service centers, including the Orange County SBDC, OC Hispanic SBDC, Inland Empire SBDC, Coachella Valley SBDC, Launchpad SBDC and the TriTech SBDC, that are attuned to the unique needs and challenges of the communities they serve. Recognizing the diversity of the community, the SBDC can assist clients in languages such as Spanish, Mandarin, Vietnamese and Farsi, in addition to English. The center’s many events and workshops, held at locations throughout the region, provide tips on topics such as export assistance, taxes and marketing. 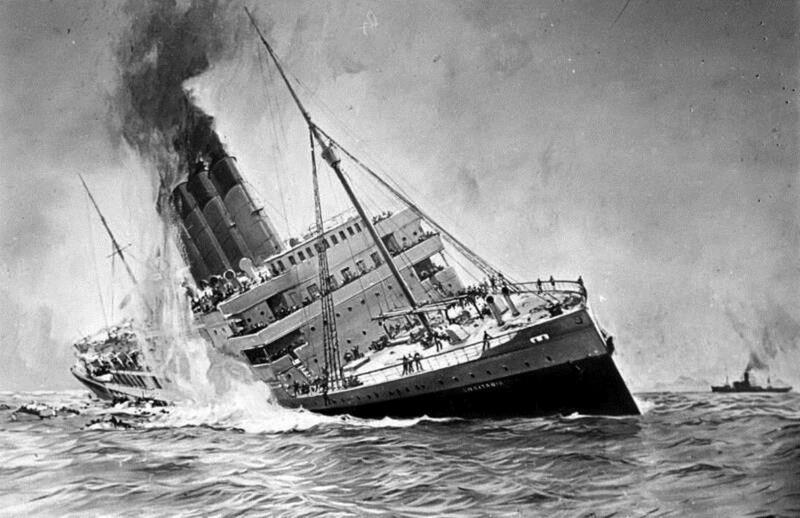 The sinking of the RMS Lusitania, a British ocean liner, resulted in 1,198 deaths and was a major factor in the American decision to get involved in World War I. Image from Wikipedia. 2018 marks the 100-year anniversary of the end of World War I, which would be the first large U.S. military involvement outside of the Western Hemisphere and the beginning of modern warfare. It was supposed to be “the war to end all wars.” On April 2, 1917, President Woodrow Wilson called for American involvement in what was then known as the “Great War” to defeat the German-led Central Powers. For the next 19 months, more than 4.7 million Americans would be mobilized for the conflict and 116,516 would lose their lives. All told, more than 65 million people of all nationalities would fight in the 20th century’s first global conflict and more than 8.5 million would die. World War I is of vast historical importance, not only because of the great destruction that it wreaked on the European continent and the Middle East, but because it acted as a dividing line between the old world and the modern world. Many contemporary conflicts around the world and much of the current geopolitical landscape have their roots, directly or indirectly, in World War I. 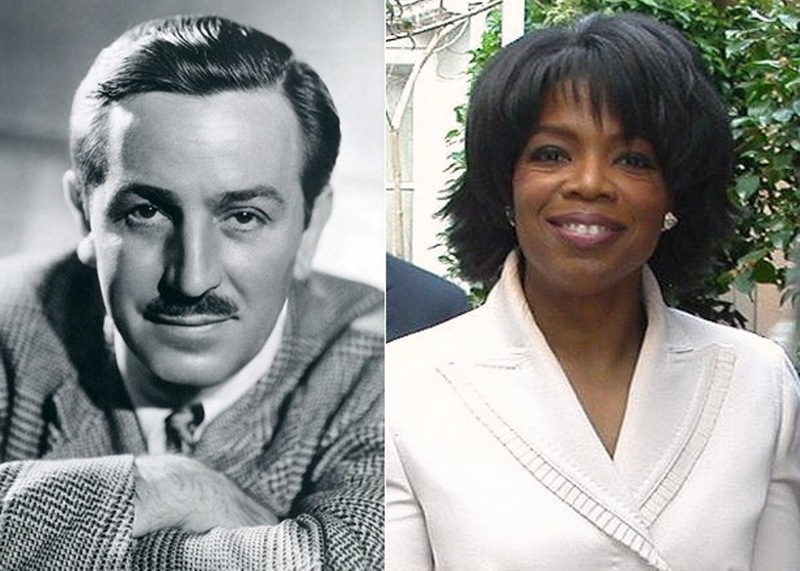 From Walt Disney to Oprah Winfrey, the world’s greatest visionaries have often encountered failure, yet have recognized the need to keep reaching higher to achieve one’s dreams. Photos from Wikimedia Commons. Want to succeed in your classes, degree program, business concept or life goals? You are not alone in starting from humble beginnings. Some of the world’s greatest visionaries, geniuses and celebrities have risen from the unlikeliest of circumstances. Here are some of their stories and quotes to inspire you to reach higher. Disneyland, the brainchild of the late Walt Disney, is arguably Orange County’s greatest claim to fame. Back in 1928, one year before the worst economic downturn in modern Western history, Disney started his empire with just a dream and a mouse. In 1955, his theme park concept in Anaheim would serve as the prototype for amusement destinations worldwide. By his death 50 years ago this week in 1966, Disney was widely regarded as one of the world’s greatest visionaries. A good breakfast can be critical in having the endurance you need on test days. Photo from Pixabay. Hoping to get As on your finals next week? Study skills and knowing the material is important, but don’t neglect your diet. Many experts believe that certain foods, when eaten in moderation, can improve test-taking performance. 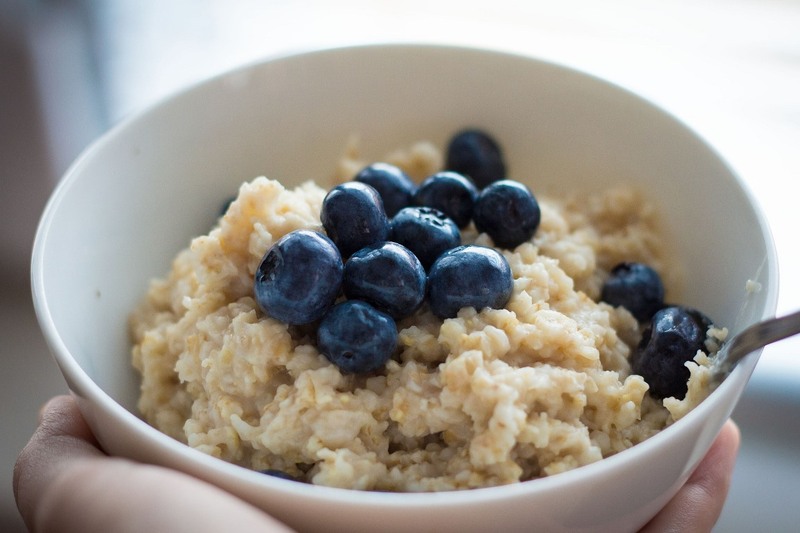 Here is a look at seven tasty, affordable and accessible brain foods that we think could improve your cognitive abilities, along with instructions on how to maximize your consumption for top performance. 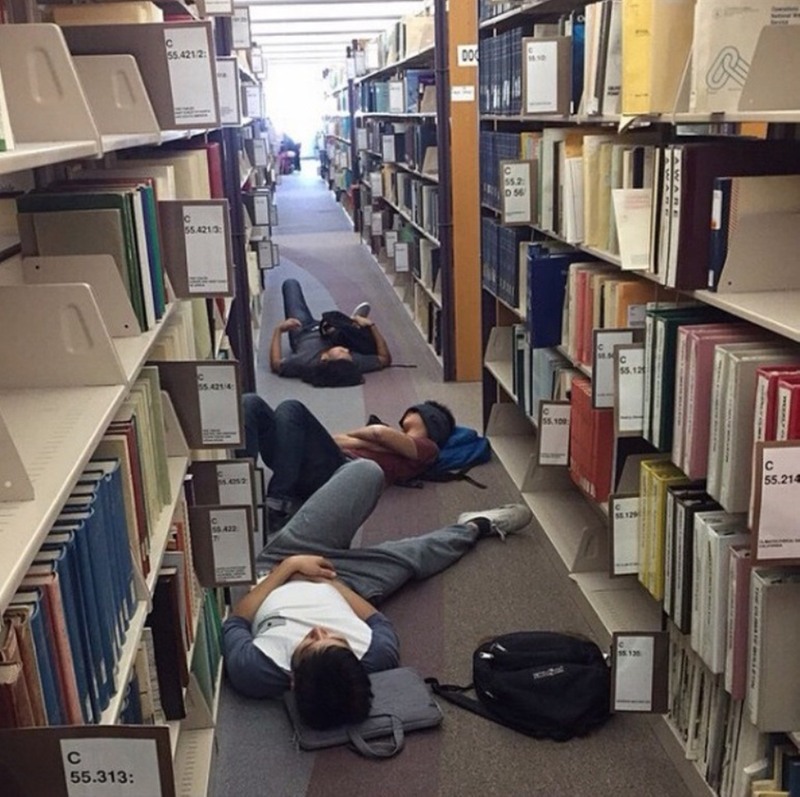 Students napping at the Pollak Library is one of the favorite themes of CSUF Naps. If you are a Cal State Fullerton student who spends any time on social media, you no doubt have come across a post from CSUFNAPS, likely the most popular CSUF-centric meme out there. CSUFNAP’s Instagram account features images of students napping on couches in Mihaylo Hall, benches in the Central Quad and pretty much anywhere else on campus where there is room. Napping is a part of our university’s commuter culture, which is why CSUFNAPS is so funny and relatable. We caught up with the anonymous proprietor of the infamous Instagram account and asked a few questions. Finals got you down? Why not go relax at the tsu?! Tell us a little about your academic and professional background? I’m a business major who has two part-time jobs. I guess you could say I help create happiness for one. In the other, I just bring food to rich golfers. What was the motivation behind starting CSUFNAPS? Idea generation can make or break new and existing products. 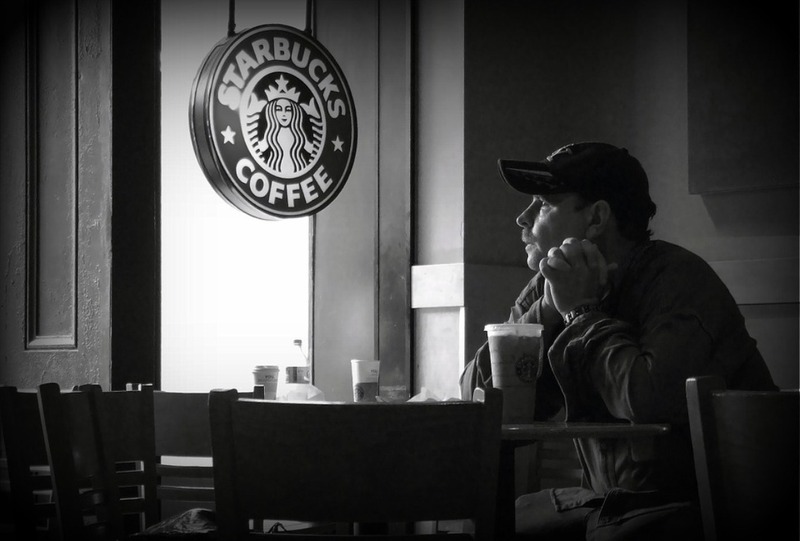 Businesses, such as Starbucks, have long used focus groups and innovative thinkers to develop product plans, but social media has made it possible to interact directly with consumers. Photo from Pixabay. In today’s world of social media, it is easier than ever for businesses to create a conversation with their customers. Yuna Kim, assistant professor of marketing, discusses her research on the potential for a two-way conversation to enhance product development. Today’s business startups can explore what consumers want by hearing directly from the public and then tailor their product or service accordingly, a concept known as “crowdsourcing.” This two-way communication model has the potential to transform entrepreneurship and marketing. Yet most businesses still rely on a largely one-way communication model, limiting their potential for idea generation. Mihaylo Marketing Assistant Professor Yuna Kim, working with Rebecca Slotegraaf of Indiana University-Bloomington’s Kelley School of Business, conducted two studies in which undergraduate students were asked to generate new product ideas for the Starbucks brand. In the first study, students were divided between groups that were shown brand information from a Starbucks website and a Twitter feed. In the second study, students were divided between groups receiving information on general Starbucks products and services and personalized information, designed specifically for college students.